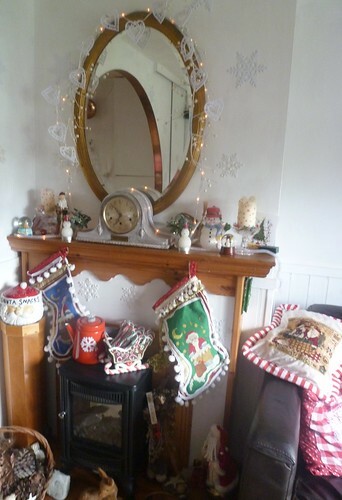 christmas decorations, originally uploaded by seaside.girl48. A charming photo of vintage decorations really make this scene homey. Don't hesitate to decorate for the holidays if your home is for sale. People love to see how your home will look with it decorated for guests and for holiday fun.